This book was a “must read for the Summer of 2014” because it has been reported as one of those books that just “disappears” from a library collection, never to be returned, and never to have legitimately been borrowed. It was important, for this reader, to know why. One notable emphasis is that Saenz has created parents in the book. Parents who care. Parents who are just parents. Parents who help the characters in the book be the characters they are. It’s powerful. 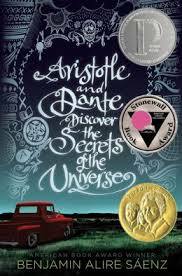 Aristotle and Dante Discover the Secrets of the Universe is a good book. It is one of those books that makes the world make a little more sense. It’s honest. It’s definitely not one to be embarrassed about reading or even sneaky about. 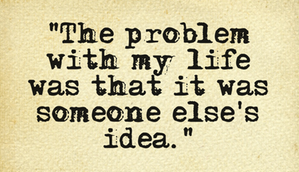 For this reader, it’s up there with John Green and Rainbow Rowell books. Arguably, that says a lot.